Featuring the Col de la Madeleine (2,000 meters), the Montvernier hairpins, the Croix de Fer (2,067 meters), and Alpe d’Huez (1,850 meters), stage 12 has a legendary profile. 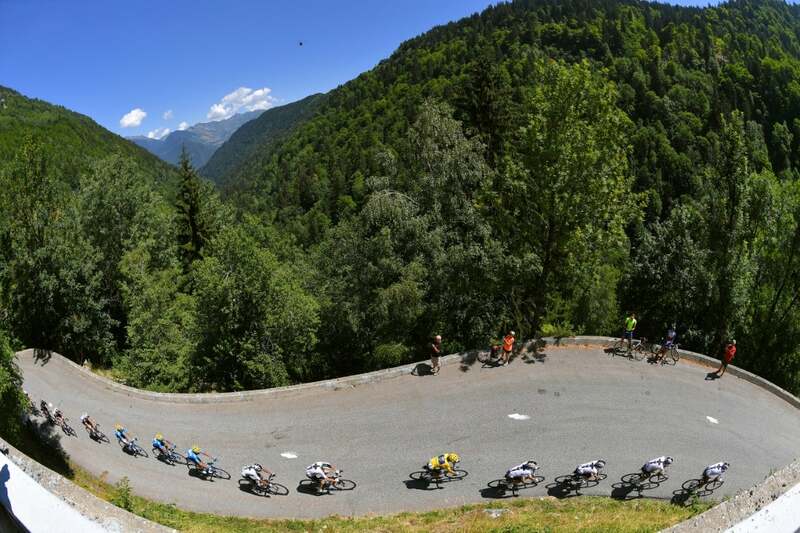 No matter how it’s raced, the “queen” stage between Bourg-Saint-Maurice and Alpe d’Huez will be a significant test. There are 72 kilometers of climbing on the menu, totaling 5,000 meters of vertical gain. Needless to say, it will be a playground for the climbers. Although there have been stages of this type in the Pyrenees in recent editions of the race, notably the Pau to Bagnères-de-Luchon stage in 2016 that went over the Aubisque, Tourmalet, Aspin, and Peyresourde passes, you have to go back to 2013 for the last comparable one in the Alps. 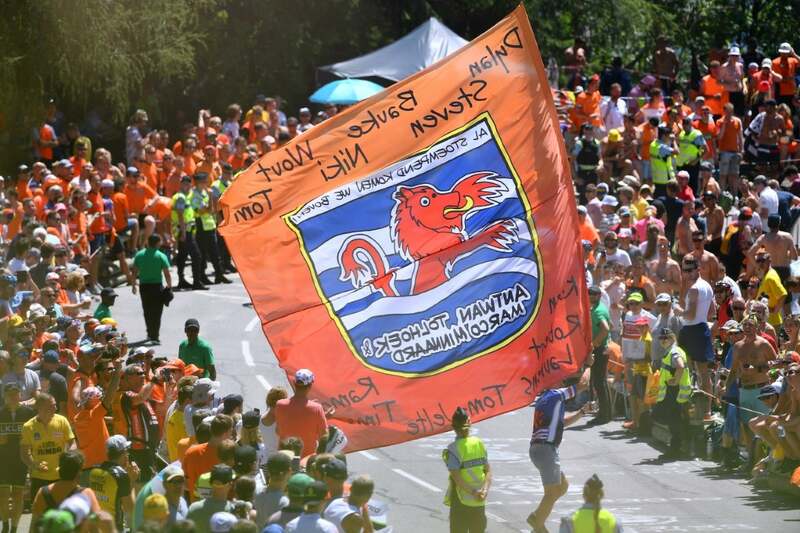 That year, a stage between Bourg d’Oisans and Le Grand-Bornand won by Rui Costa crossed the Croix de Fer, Madeleine, Forclaz, and Croix Fry passes. The year before that the Albertville to La Toussuire-Les Sybelles stage, won by Pierre Rolland, began with the same two opening passes before tackling the Mollard and the final ascent. In other words, this year’s 12th stage is both testing and classic, a day that can deliver the stuff of legends. From the start in Bourg-Saint-Maurice, the riders will head towards Moutiers and then tackle the 25.3-kilometer climb of the Madeleine. 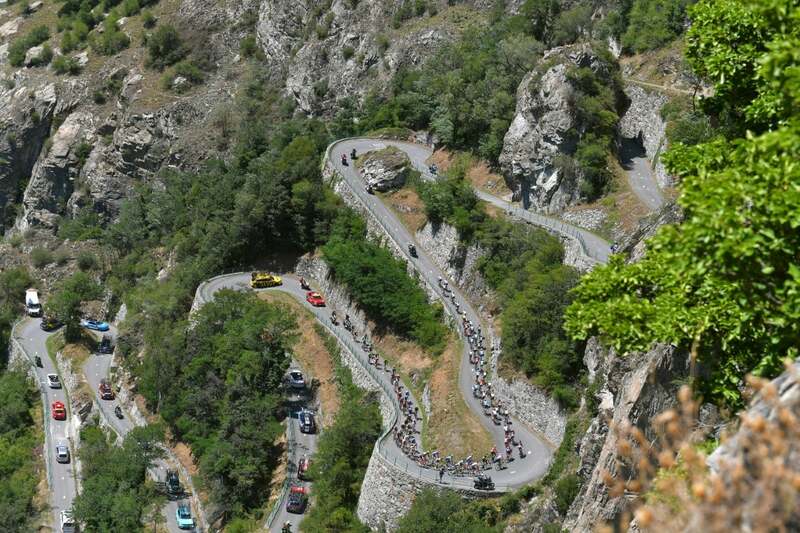 The descent to La Chambre will lead onto the Montvernier hairpins. After the descent to Saint-Jean-de-Maurienne, the riders will climb the 28.8-kilometer ascent of the Croix de Fer via its toughest flank, which averages 5.1 percent. 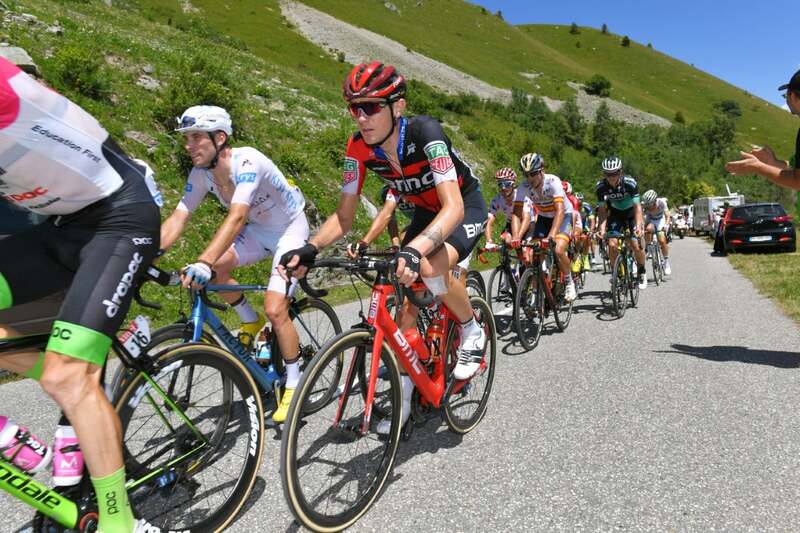 The most complicated section for the climbers will come at the bottom of the descent, on the 10 kilometers of flat road between Allemont and Bourg d’Oisans. This will really test their mental strength. 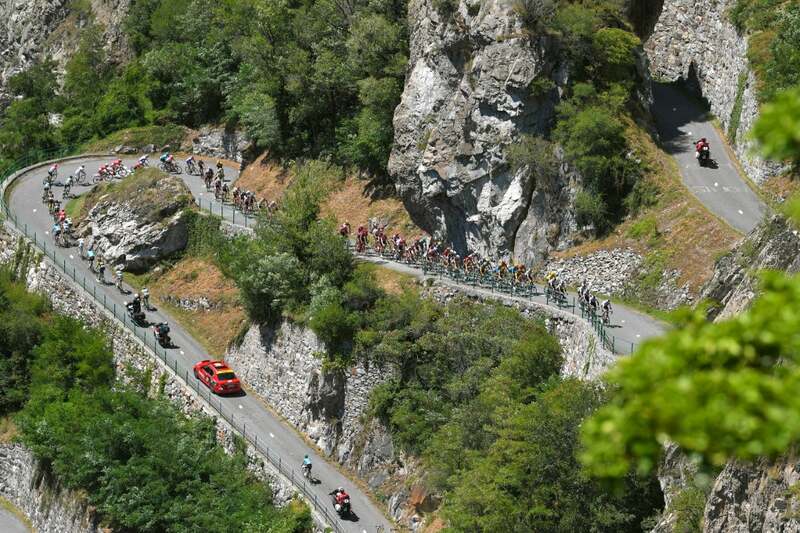 The favorites will hope to use this section to their advantage before tackling the final climb to Alpe d’Huez. Consequently, if there is a big battle between the favorites, it won’t suit riders like Tom Dumoulin. That’s why it will be in the interest of pure climbers to race flat out. 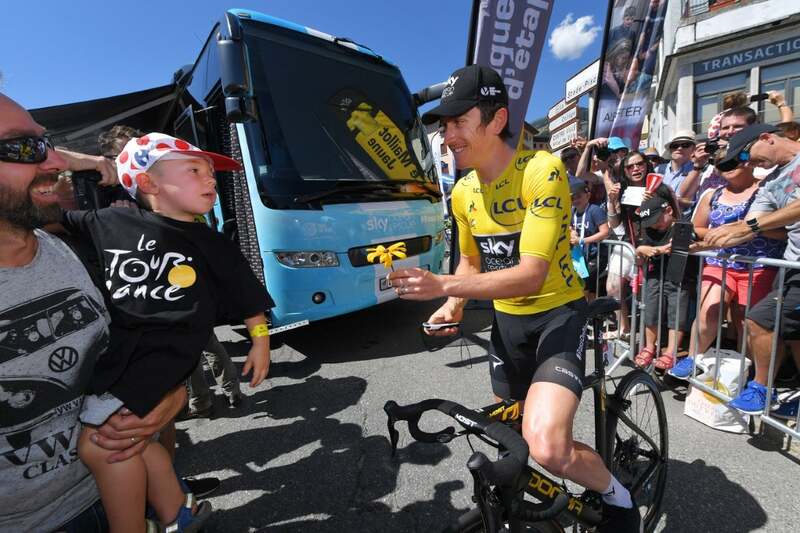 The boos rained down on Geraint Thomas, but that didn’t stop him from winning his second Tour de France stage in a row on Alpe d’Huez Thursday, extending his yellow jersey lead. Tom Dumoulin (Sunweb) was second in the sprint, ahead of Romain Bardet (Ag2r La Mondiale) in third at the end of stage 12. The crowd’s ire was likely directed at Thomas’s Sky teammate Chris Froome, who ended the day fourth and is now second overall, 1:38 behind. Dumoulin stayed close on GC, 1:50 back. 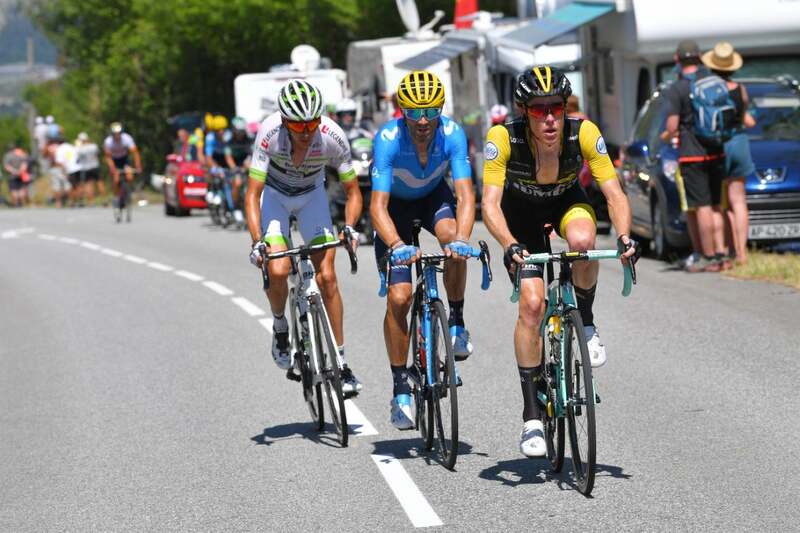 Although the 175.5km day was a GC showdown atop Alpe d’Huez, it was animated by Steven Kruijswijk. 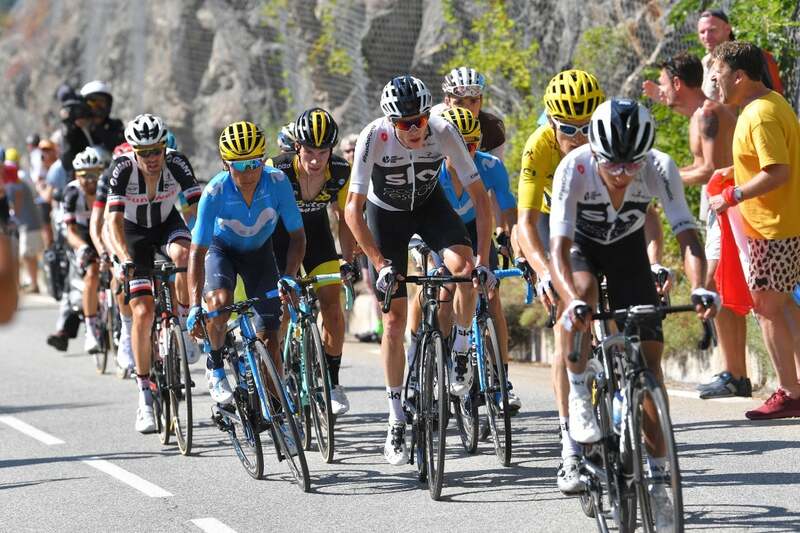 The LottoNL-Jumbo rider took a flyer early in the race, joining at 30-man breakaway going into the day’s first categorized climb, Col de la Madeleine. 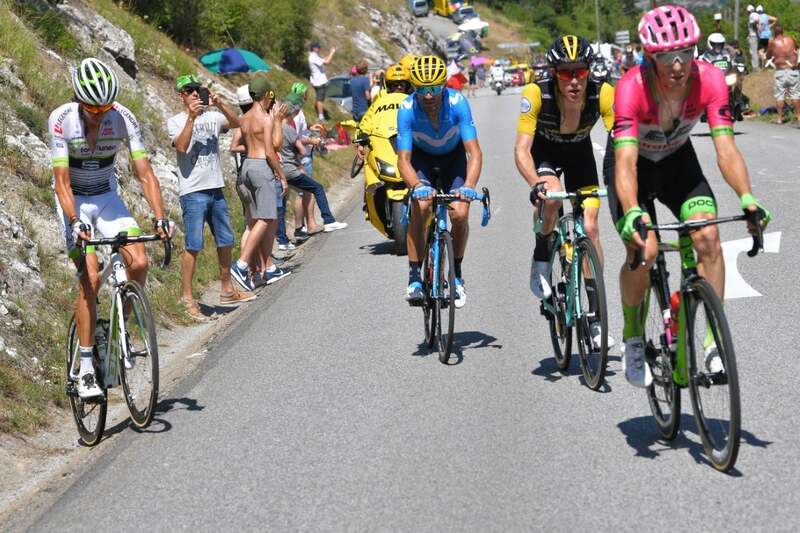 That early escape had a number of notable riders in the mix, including Pierre Rolland (EF Education First-Drapac), a former winner atop Alpe d’Huez, Wednesday’s animator Alejandro Valverde (Movistar), and Julian Alaphilippe (Quick-Step), leader of the king of the mountains classification. Alaphilippe mopped up maximum points atop the hors categorie Madeleine as well as the Cat. 2 climb up Lacets de Montvernier. However, the real drama began at the base of the Croix de Fer, with 18 kilometers to ride to the summit of the hors categorie monster. 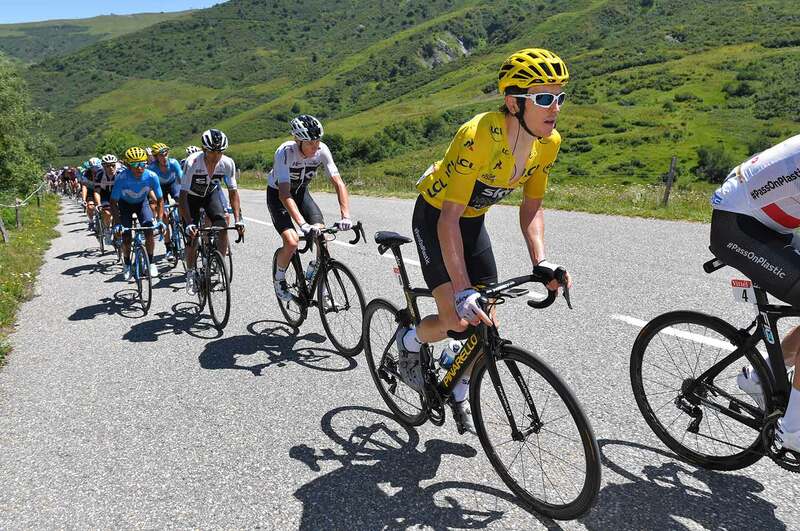 Kruijswijk crept off the front of the 11-man leading group and proceeded to ride alone to the base of Alpe d’Huez. Coming into the finish climb, the Dutchman had a promising 4:20 lead over the yellow jersey group, which by that point had collected all of the other breakaway riders. After Michal Kwiatkowski did his turn, Team Sky put its young Colombian star Egan Bernal on the front of the bunch. For several kilometers, Bernal churned out a blistering tempo. Dan Martin (UAE Team Emirates) was first dropped from the GC group with more than 10 kilometers to go. 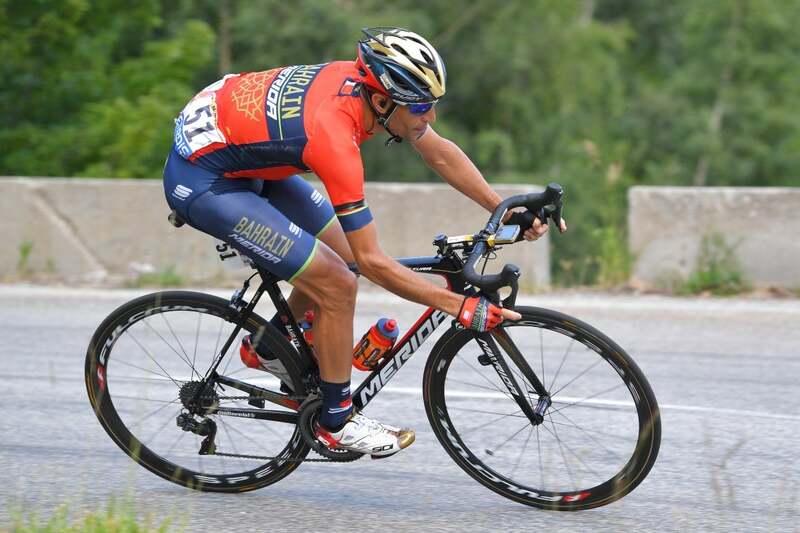 Vincenzo Nibali (Bahrain-Merida) tested the water first with an attack. Then it was Nairo Quintana’s turn to accelerate out of the yellow jersey group. On both occasions, Bernal shut down the moves in short order. Next, Mikel Landa (Movistar) and Romain Bardet (Ag2r La Mondiale) attacked as Bernal’s time at the front came to an end. Thomas took up the chase and clawed back the move. 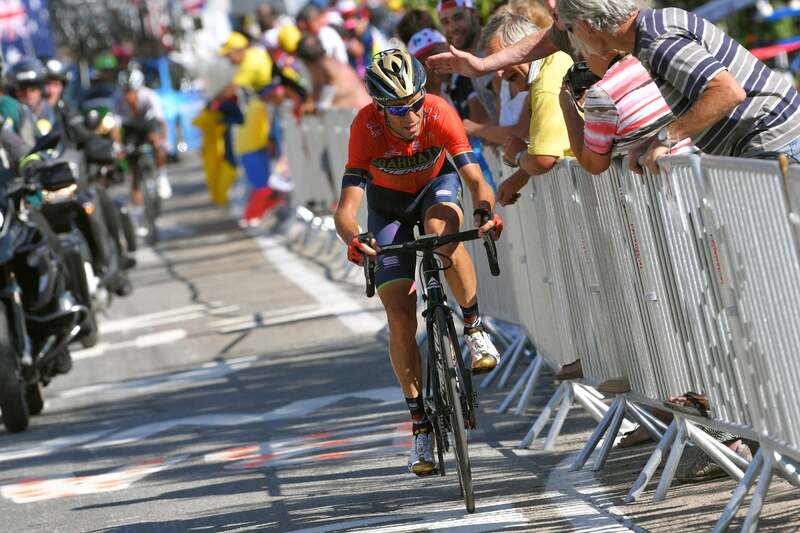 Meanwhile, Nibali got tangled with a race moto and crashed, losing touch with the GC group. Throughout the climb, fans alternated between cheering Bardet’s attacks and booing the Sky duo that closed down the attacks. 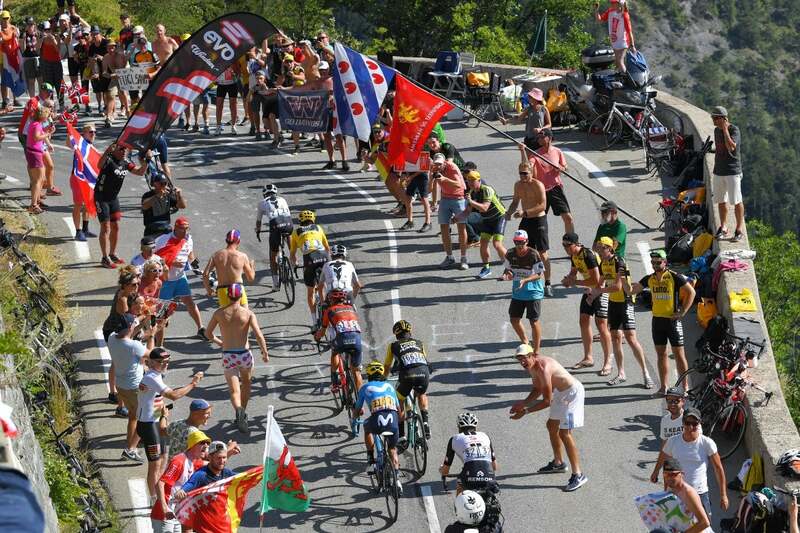 Reportedly, one fan even tried to punch Froome as he passed by. 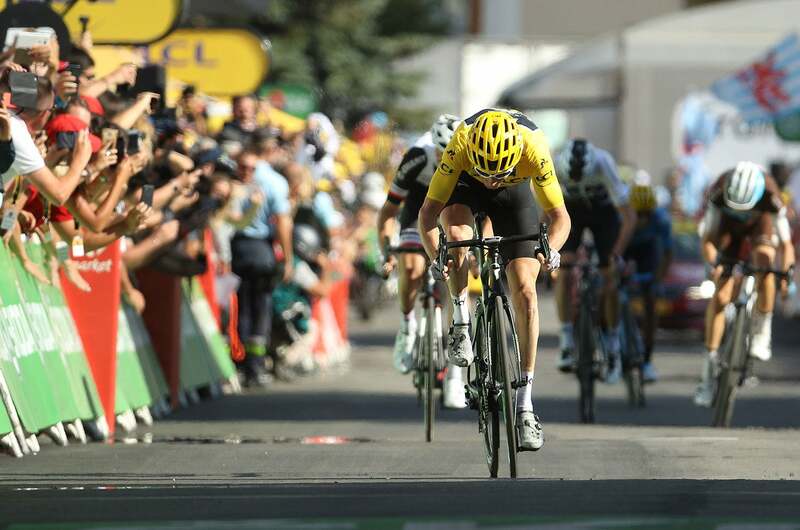 Undeterred, Froome tried an attack with about three kilometers to go and quickly caught and passed Kruijswijk. 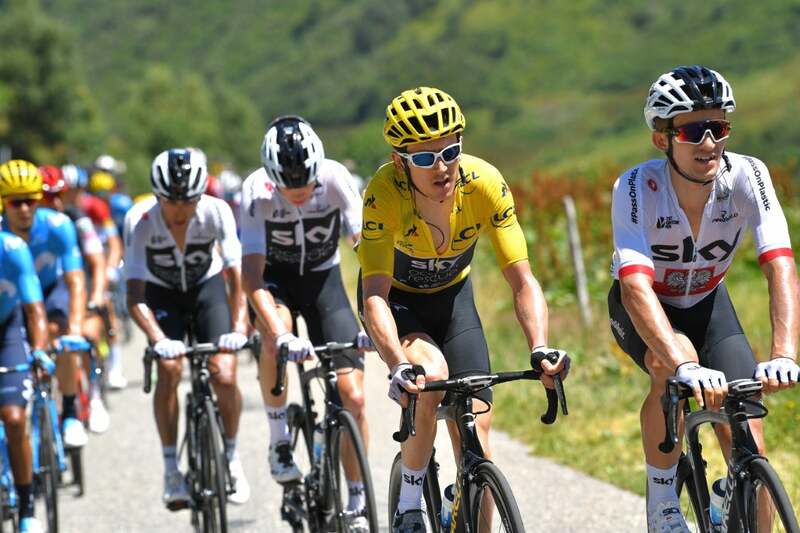 However, Dumoulin was not about to let the race get away from him and clawed his way back up to the defending champion, bringing Thomas and Bardet along with him. After the catch, the four eased up, riding side-by-side into the final two kilometers. This opened the door for Landa to rejoin the group. The Spaniard tried one desperate attack with about 600 meters to go, but he couldn’t break the elastic. Thomas led the five into the final left-hand corner. Dumoulin sprinted up the inside from the fifth wheel but was too far back to challenge the yellow jersey for the win. It was Thomas’s third Tour stage win but perhaps his most famous given the history of Alpe d’Huez. “I did say yesterday this race is made for me, you know. Today, that’s it — I can be happy for sure now,” Thomas added. 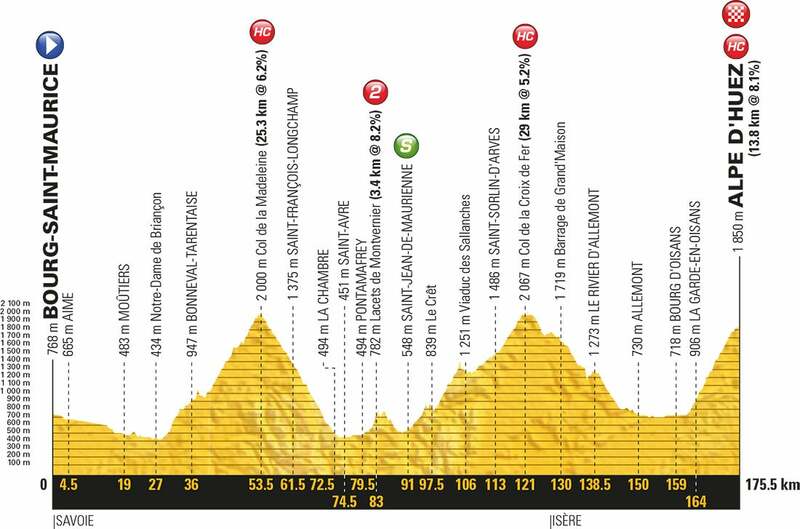 On Friday, the race for GC will subside as stage 13 will be a flat 169.5km run from Bourg d’Oisans to Valence.